Rye has had a whole two weeks this month without a festival or major event, so clearly something must be about to happen – and it is. Wild Boar Week is back with us, October 22 – 30. No fewer than 22 eating establishments in, or close to Rye, together with a few others further afield will have at least one wild boar dish on the menu and the writer was momentarily excited see that the list of other events during the week included a Wild Boar Hog Hunt. However, on further examination this turns out to be a children’s boar hunt in shop windows. But perhaps we might see some real live boar being brought into the streets of the town?. Apparently not. So no Pamplona-style run with wild boars, then. 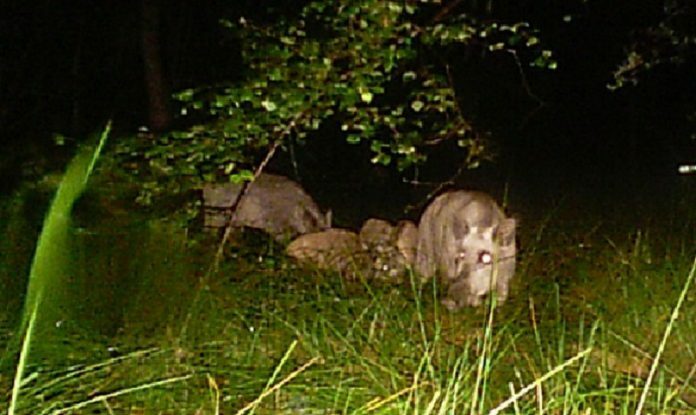 Although they are called wild boar, the ones on all the menus around town will, of course be farmed, but real wild wild boar do exist in the woods around us and there are doubtless experts out there who can estimate how many there are. They originate, it is thought, from escapees during the Great Storm of 1987 which, as well as causing much other damage, also brought down fences and enclosures. They are, however, shy animals and are rarely seen. I have seen one, once. Driving home late one night and taking a short cut down a narrow lane near Wittersham, a large shape lumbered out of a gap in the hedgerow, crossed the road twenty yards ahead and disappeared into a wood. It took a few moments to realise what it was – it was a big, very big, wild boar. So make the most of this delicious animal during the week and don’t forget all the other delights the town offers: have a go with Rye Longbowmen at the Gun Garden, there is a medieval conference in the Milligan Theatre, the Farmers Market on Strand Quay, a wildlife walk starting at Brede lock, music to suit many tastes and much more. The Duke of Pork is always most welcome in Rye!